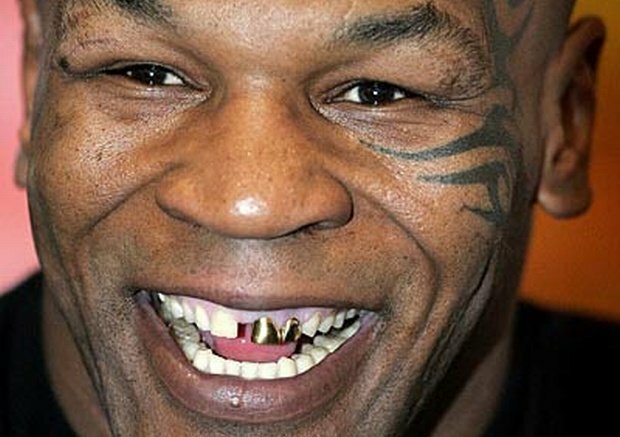 Mike Tyson was once quoted as saying "I'm not as deep or complicated as some people seem to think." I'm glad the man cleared that up, because for years before that I was really befuddled by what I could only conceive of as his unfathomable levels of epic genius. Of course, once I saw Mike Tyson's Brunch Out! !, I felt I finally truly understood the man as he was meant to be understood. Thank you, Channel Frederator. Anyway, MTV Movies recently chatted with Tyson, and the topic of the upcoming Punch-Out!! game for Wii came up, along with what Tyson likes to play when he games. Tyson looked pretty confused when the Wii game came up, but he says when he did play the original Punch-Out!, he played once and "got slaughtered." How's it feel to get punched in the face by yourself, Mike? When asked about games he likes to play, Tyson says he likes "games with PLOTS" such as Resident Evil 5 and Gods of War. No, I didn't typo there -- he said GODS of War. Mike Tyson rules. Go check out the full video here.